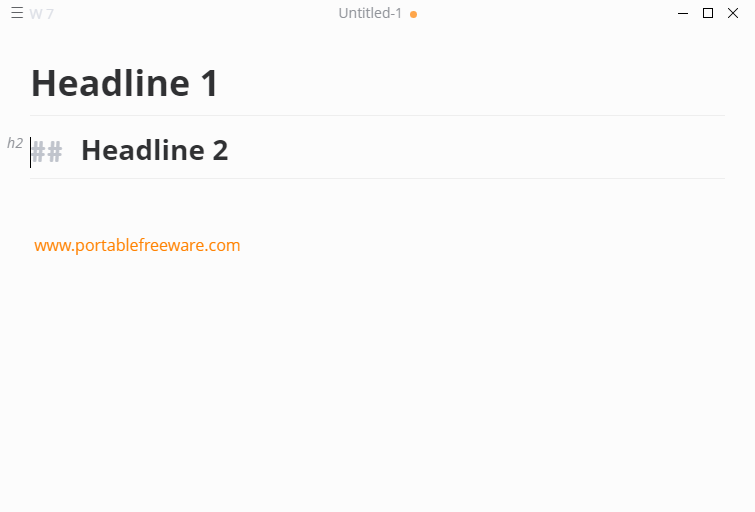 A nifty, minimalist, and cross-platform markdown editor. It's handling of Headings is awesome and it handles nested bullets better than similar tools but I struggled to get it to turn on/off nested bullets/numbers. It's another basic text editor with a big download (79 megs) and high RAM usage (80 megs) due to it's use of Electron, but it does use less memory than similar tools. Navigate to $PLUGINSDIR and open either the app-32.7z or app-64.7z folder (if you're not sure, just go with the "32" choice). Lately you have been pushing more and more Electron trash, why do you do that? For me it is wrong to advertise this terrible "framework". Electron is an enemy to good programming, it is undermining it, the more people accept such poor, bulky, heavy, ugly, non-native trash, the more unskillful developers would embrace this "framework" and would spew more and more low quality junk. I am glad that at least you didn't provide a link for this crap. For the reasons you so eloquently enumerated, I dislike Electron every bit as much as you do, my dear smaragdus. For real. But I don't think TPFC should impose a no-Electron policy. You and I are free to shun it, but manifestly others are interested and TPFC has to cater for all. By virtue of #4, portable software has always had more bulky installs, which is fine with me. For example, I have at this moment 8 instances of FFMPEG.DLL on my machine, which is a little absurd, but I prefer having extra junk to dealing with the dependency hell that other platforms have to deal with. That's not to say that Electron doesn't take it to a whole new annoying level by throwing what is basically an entire copy of Chrome into every damn program, but I'm just saying it's not entirely new. As to why I keep posting about Electron-based programs here on the site, ultimately it comes down to tools I need or that I'm interested in, and lately just coincidence I've been pigeonholed into two classes of programs: text manipulation and chat tools. Both of these have been sadly leaning on the Electron framework to do everything, with little sign of change on the horizon. To be clear, I'm not happy with Electron and I'm not happy with this direction in development. I've brought up this topic with associated developers and continue to advocate for better, non-bulky software design, but right now this is unfortunately where the stuff I need is located. Hopefully that changes in the near future. Last edited by webfork on Sun Aug 26, 2018 9:23 am, edited 1 time in total. What may not be obvious from this animation is that the text pasted in on the right side is straight from Word, not pre-formatted. It then breaks it apart . As someone who's constantly fighting with frustrating Microsoft Word styles and settings, this is an absolute godsend. It introduces the ability to both rip out Word formatting quirks as well as introduce batch operations available to text editors such as word replace and comparison, all inside tables. I have covered a lot of other open source Markdown editors but the feature to save MS Word content as Markdown file is unique, which is provided by this software. I really like this feature. The good thing is you can use other Markdown options also, preview the output, and then save the final content as Markdown file. webfork wrote: ↑ What may not be obvious from this animation is that the text pasted in on the right side is straight from Word, not pre-formatted. It then breaks it apart . As someone who's constantly fighting with frustrating Microsoft Word styles and settings, this is an absolute godsend. It introduces the ability to both rip out Word formatting quirks as well as introduce batch operations available to text editors such as word replace and comparison, all inside tables. Well, that IS impressive, indeed. Noted. This is really useful if you're trying to share resources with someone who needs to see the URLs either to make clear where they point, or to make a point that all the links are legitimate. Of course, there are a number of ways to do this but I don't know of one that is simpler or more accessible. Note that if you're starting with a PDF file, you'll need to export it to HTML and then copy the links and paste into Justmd. You can also use PDF XChange Editor's free version to save to a read-only DOCX (with watermark) and then copy the links out from there. There hasn't been a lot of development work on Justmd since I last posted about it, but between this trick and the misbehaving tables (mentioned above) it's saved me a lot of time and trouble.